Nathaniel D. Tobin focuses his practice on first and third party insurance defense, commercial litigation, and construction disputes. Nathaniel D. Tobin focuses his practice on first and third party insurance defense, commercial litigation, and construction disputes. He has extensive experience representing individuals in both civil and criminal matters, including bankruptcy and foreclosure, contracts and claims involving personal injury, automotive liability and construction defects. 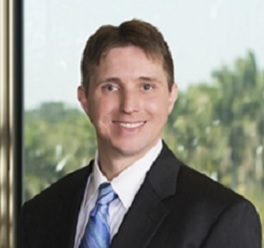 Prior to joining the firm, Mr. Tobin was an attorney with a large Miami based litigation firm where he concentrated on insurance defense and complex commercial and construction disputes. He volunteered as a pro bono attorney for the Miami-Date Public Defender’s Office and provided legal counsel to low-income families in landlord/tenant matters. Additionally, Mr. Tobin was a legal intern for the Honorable William M. Hoeveler, Chief Judge at the United States District Court for the Southern District of Florida.